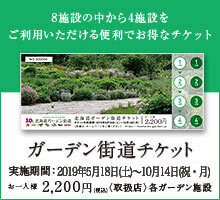 It is a list of tours around the garden with tickets of the Hokkaido Garden Highway. ★ ★ "Hokkaido Garden Highway" tour guide featured by club tourism ★ ★ Introducing special selection tours from the country! Many plans are prepared, including tour guide and accompanying professional guide! Here we are introducing a tour that incorporates "Garden Road Ticket". If there is a corresponding item, thank you for your inquiry from the mail form.